‘We’re going to snorkel with sharks!’ chortles Captain Jitoko as we steam north towards Fiji’s famed Yasawa Islands. My fellow passengers look at each other nervously, not sure whether the captain is joking or not. 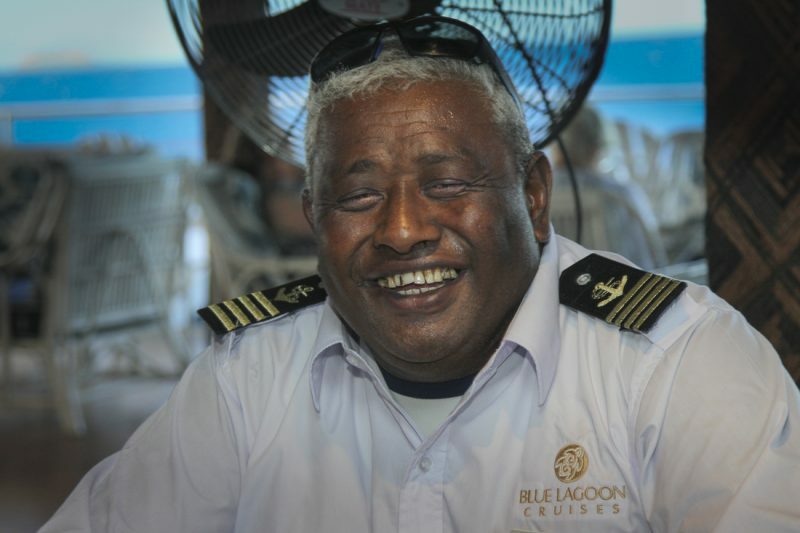 He’s certainly not joking when he rubs his tummy and tells us during the safety briefing to eat up and enjoy the fabulous food dished up on Blue Lagoon Cruise’s luxury small ship MV Fiji Princess. 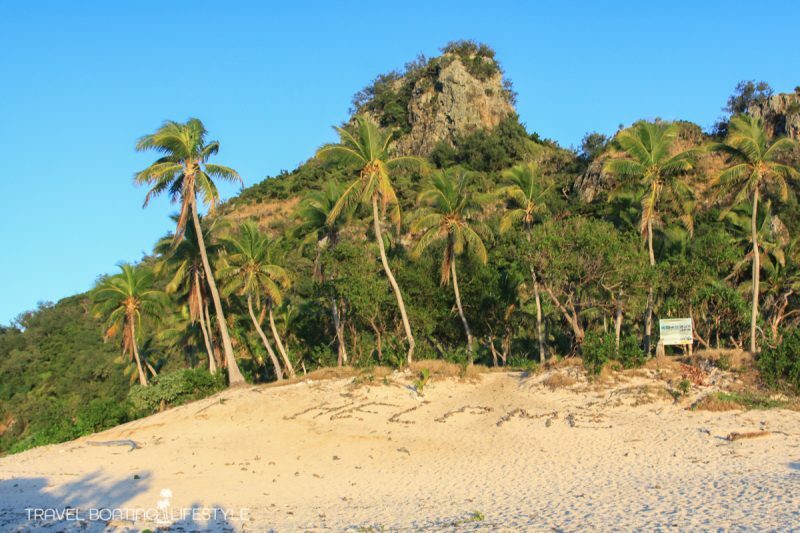 Cruising Fiji on a three night Yasawa Islands cruise promises some surprises. 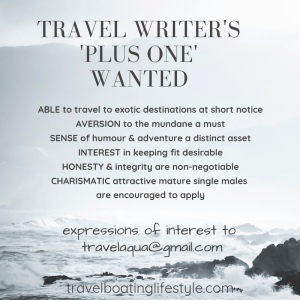 ‘The more you eat the better you float when you go snorkelling,’ he laughs, his face splitting into a grin from ear to ear. Snorkelling as it turns out is on our jam-packed itineraries every day. Known as Captain Chi, he tells us over dinner about growing up in the remote Lau Group in Fiji’s far east where boats are the only form of transport: he’s been driving boats since he was a young boy. He’s an affable hands-on captain who pops up everywhere, his infectious laughter lighting up his face as well as those around him. One minute he’s giving chart plotting workshops, explaining to passengers about navigating Fiji’s notorious reef-strewn waters. The next he’s driving the tender taking guests ashore. Early one morning we see him dangling a fishing line over the side of the boat with crew. At night time he sits cross-legged on the top deck beneath a star-spangled sky strumming a ukulele as the kava bowl is passed around. We find him at other times on the Bridge where he welcomes us to come inside and enjoy the view from his office. Captain Chi’s easy-going manner is reflected in the crew’s attitude where nothing is too much trouble. Sir Francis Drake said ‘It’s not that life ashore is distasteful to me. 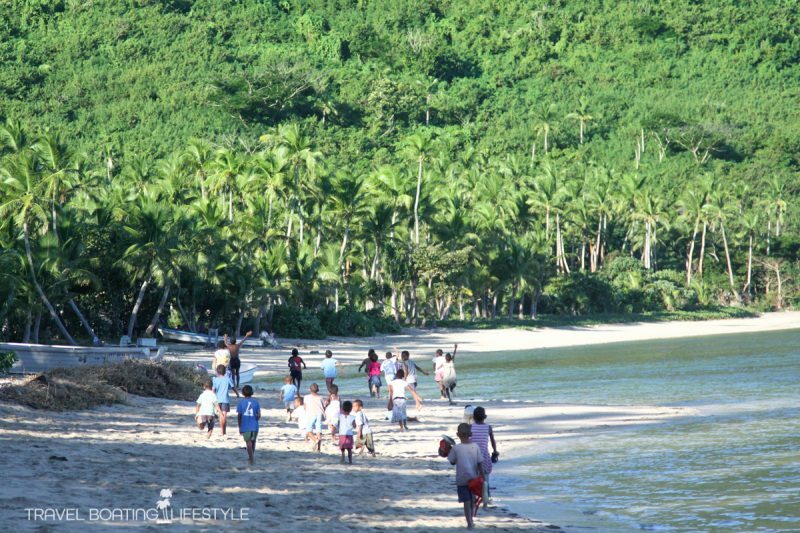 But life at sea is better.’ And so it is onboard MV Fiji Princess. Life afloat is indeed rather splendid and our three night cruise is over way too soon! But not before we have a date with black tip reef sharks. As it turns out the weather gods conspire against us on our first attempt, as south easterly winds are too blustery for MV Fiji Princess to anchor near Moua Reef. It matters little, as we get the chance on our last day aboard when the wind abates. Black tip reef sharks, easily identifiable by a distinct black triangle on their dorsal fin, prefer hunting deep amongst coral reef for tasty morsels of fish rather than human flesh. Given the amount of food we’ve consumed over four days, passengers bob on the surface like champagne corks staying well out of harms way. Captain Chi was right! Fiona Harper was a guest of Blue Lagoon Cruises. What an amazing experience you guys had. I’d love to take a cruise some day. What a nice captain. You can tell that he loves his job (if he still ever call it a job). Beautiful video, too. I enjoyed watching it. Hi Fiona it is great to see the results of your work while we were on the cruise with you. You have certainly captured the essence of what Blue Lagoon offers. It was an amazing experience, special memories to hold on to. Safe continued travels to you. Thanks Sandra – we had a fabulous time onboard & loved meeting fellow travellers & of course the wonderful BL crew. Though 3nts was way too short!! Hi – it was lovely to meet you both on the Blue Lagoon Cruise and fantastic to see some of the results of the footage taken. Fiji is certainly a beautiful place. Wishing you continued safe travels – wherever you may be at the moment!